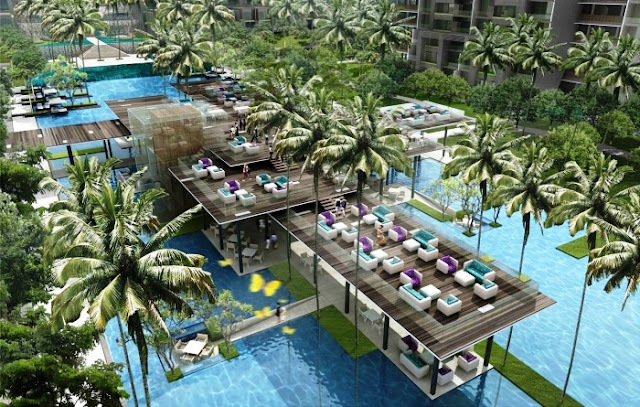 The resort will open on February 1st in the upmarket Nusa Dua area of Bali, with 475 well-appointed guestrooms, striking suites and discreet villas in a quiet beachfront setting. Six restaurants, bars and lounges allow guests to soak in the sensational natural setting, with sweeping views and indoor/outdoor dining venues that celebrate regional flavours. An immersive ocean-facing spa and fitness centre offers treatments inspired by traditional Balinese healing practices, to promote balance and wellbeing. Other facilities include a 60-metre swimming pool and a separate kids’ pool, and an innovative family club creates meaningful shared moments for families of all ages. For events, business meetings and weddings, The Apurva Kempinski Bali offers a 1,076 sq. m. pillar-free ocean-view Grand Ballroom and a collection of meeting rooms with ocean vistas. “Spectacular, sensational, curated and serene, The Apurva Kempinski Bali takes the form of a majestic open-air theatre, where centuries of Indonesian culture are distilled and brought to life,” said Michael Henssler, chief operating officer, Asia, Kempinski Hotels. The Apurva Kempinski Bali becomes the second Kempinski property in Indonesia, and follows two other major openings in the past six months: The Capitol Kempinski Hotel Singapore and Emerald Palace Kempinski Dubai. “I have called this beautiful country home for the past 12 years, and The Apurva Kempinski Bali is truly an embodiment of Indonesian culture and craftsmanship,” said general manager, Vincent Guironnet.